Synopsis: From ANN: The "slightly sweet tipsy couple comedy" manga centers on the 28-year-old senior public relations company staff member Chisato Mizusawa. 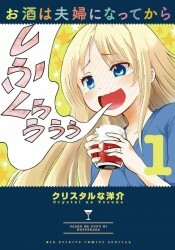 The story follows Chisato's daily life as she enjoys her husband Sora's cocktails. Chisato has secrets that only her husband knows.